John Schueneman, of Mosmatic Corp., Bristol, WI, has completed a training course at our Mosmatic AG headquarters with flying colors! 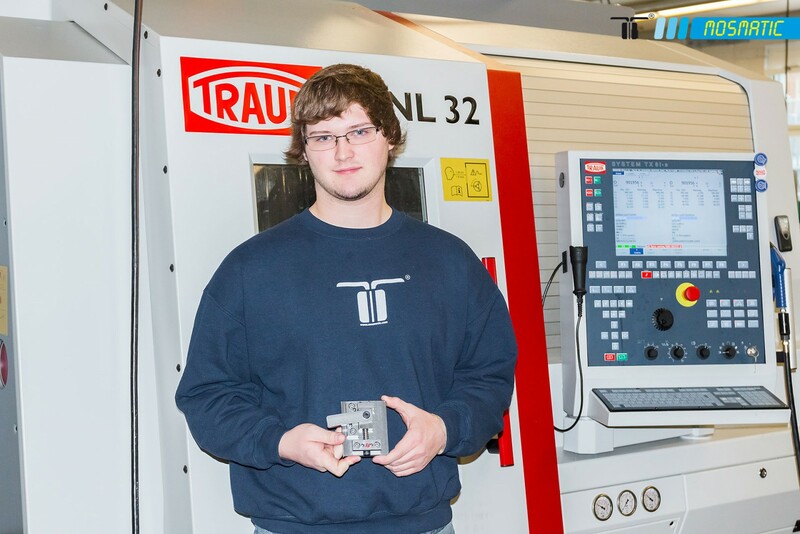 John spent a the month of January alternating his time between Swissmechanic in St. Gallen, and Mosmatic AG in Necker, improving his mechanical knowledge as well as his CNC programming skills. Swissmechanic offers vocational training and specialized courses in the field of machinery and metal industries. For John to be able to study at such a highly regarded school was a great opportunity for him and an accomplishment he will never forget. Mosmatic is proud of his Internship Program and would like to congratulate John on successfully finishing his training.